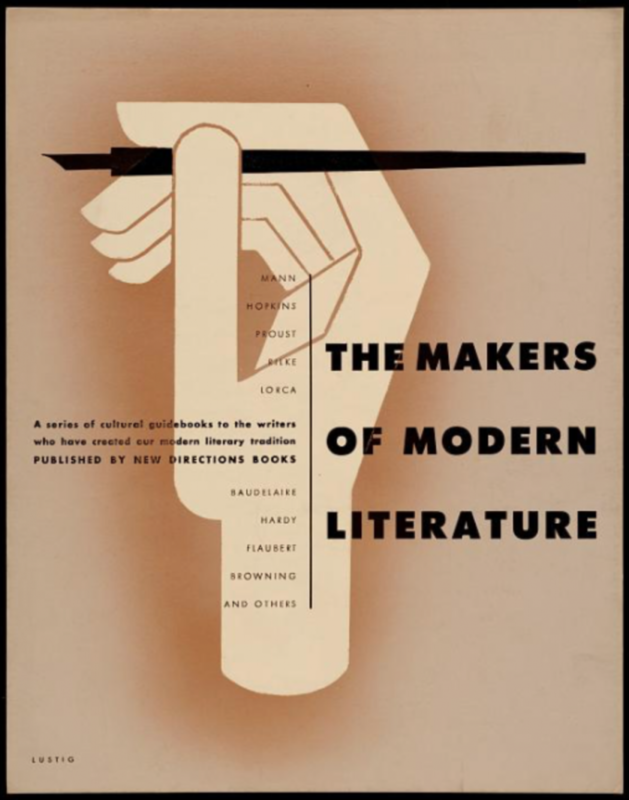 A distinguished series of commissioned titles published by New Directions and aimed at introducing readers to some of the great names in modern literature, the Makers of Modern Literature series had jackets designed by Alvin Lustig, who also designed the promotional poster (below) for the series. The series was roughly contemporary with New Directions New Classics Series. 1941: Levin, Harry. James Joyce: A Critical Introduction. 1942: Daiches, David. Virginia Woolf. 1943: Trilling, Lionel. E. M. Forster. 1944: Honig, Edwin. 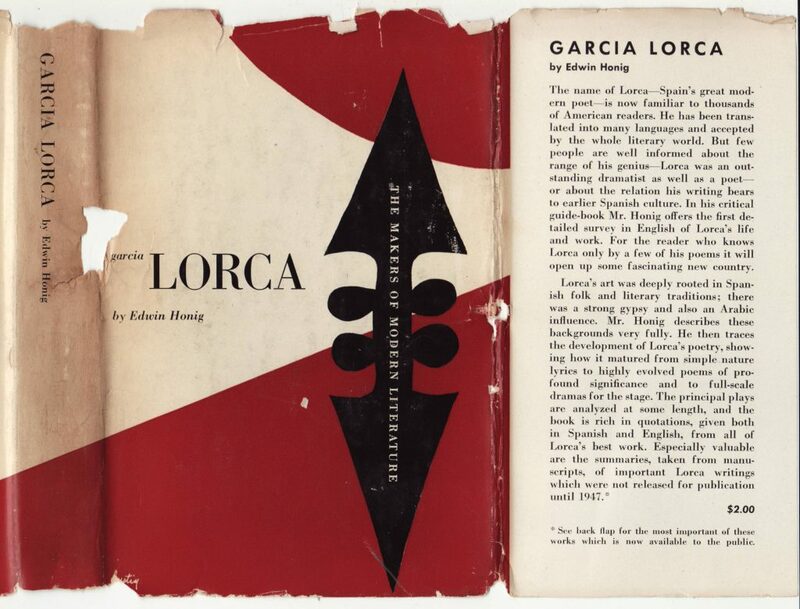 García Lorca. 1944: Nabokov, Vladimir. Nikolai Gogol. 1945: Kenyon Critics. Gerard Manley Hopkins. 1946: Winters, Yvor. Edwin Arlington Robinson. 1947: Ames, Van Meter. André Gide. 1947: Bentley, Eric Russell. Bernard Shaw: A Reconsideration. 1947: Daiches, David. Robert Louis Stevenson. 1947: Muller, Herbert Joseph. Thomas Wolfe. 1947: Roditi, Edouard. Oscar Wilde. 1948: Honig, Edwin. 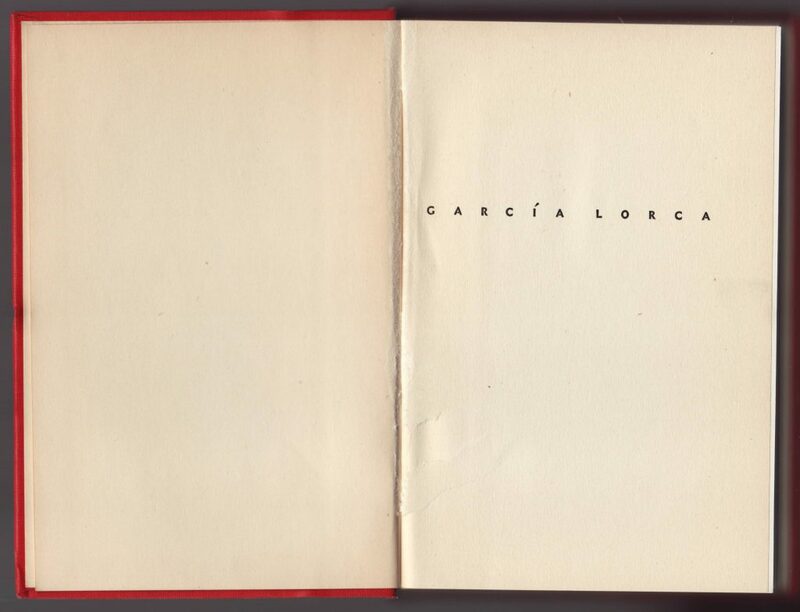 García Lorca (Revised ed.). 1950: Koch, Vivienne. William Carlos Williams. 1951: Hatfield, Henry Caraway. Thomas Mann. 1954: Kenner, Hugh. Wyndham Lewis. 1957: Bentley, Eric Russell. Bernard Shaw, 1856-1950 (Revised ed.). Two jacket designs, both common to the series, were used, one based on the hand design used on the promotional poster above, and the other with a very modernized fleur de lis design. I believe the hand design was used first, replaced by the fleur de lis design in the late 1940s. 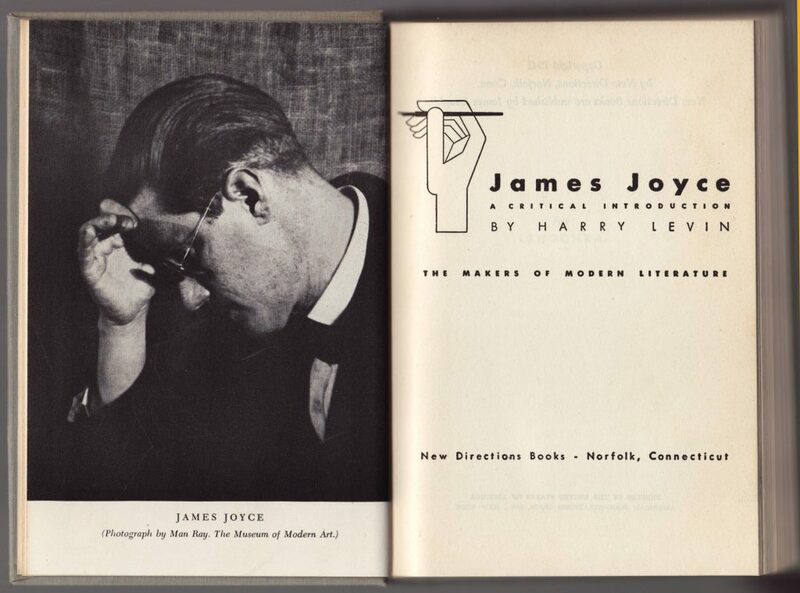 The copy of Harry Levin’s James Joyce was the initial title in the series, published in 1941. The stylized hand holding a pen design was common to the series. The series name is placed vertically on the left side of the jacket cover. 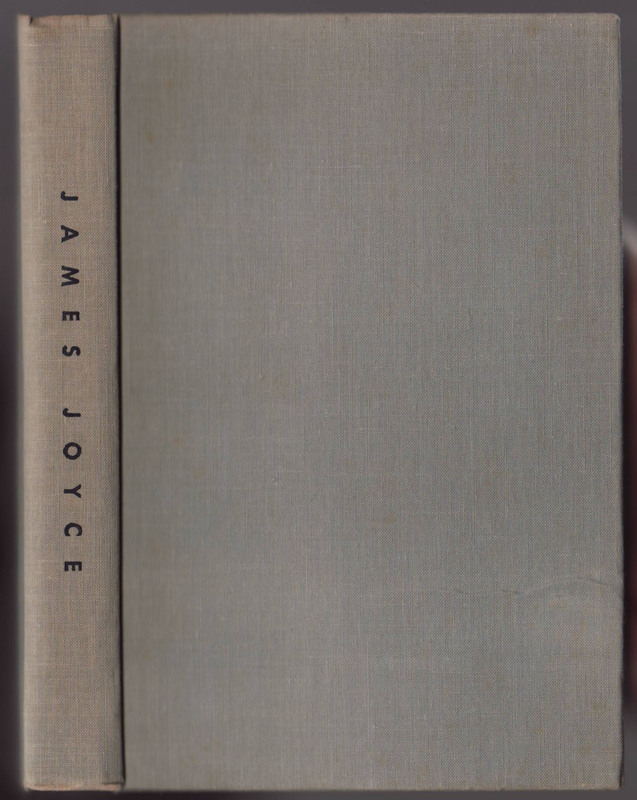 The jacket spine, with the author and title, is a similar design to the New Classics Series titles. The front flap contains an overview of this particular title, and a $2.00 price is included at the bottom of the flap. This type of jacket varied in color from title to title: yellow & black (below), red & blue, green & orange, blue & red, and black & purple. 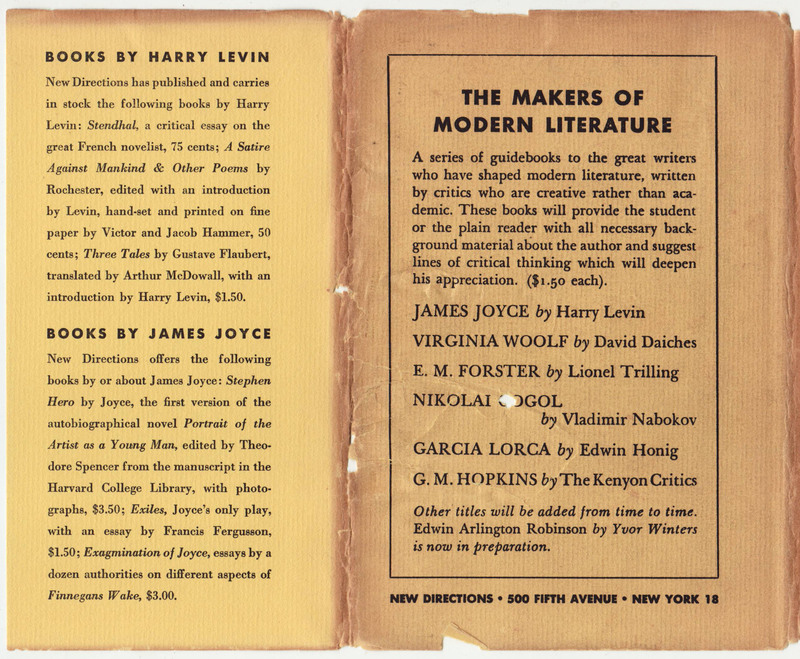 The rear of the jacket describes the series as “guidebooks to the great writers who have shaped modern literature, written by critics who are creative rather than academic.” The first six titles in the series are listed, up to Hopkins (first published in 1945) so this book and jacket are probably ca. 1945. The price listed here is $1.50 per volume (compared to $2.00 on the front jacket flap). The price of books in the series seems to have increased to $2.00 around 1945, so this copy is a reprint where the price on the rear of the jacket was mistakenly not updated. The rear flap lists additional titles by Harry Levin and James Joyce. The cloth bindings are very simple, with a typographic spine similar to that used for the New Classics Series. 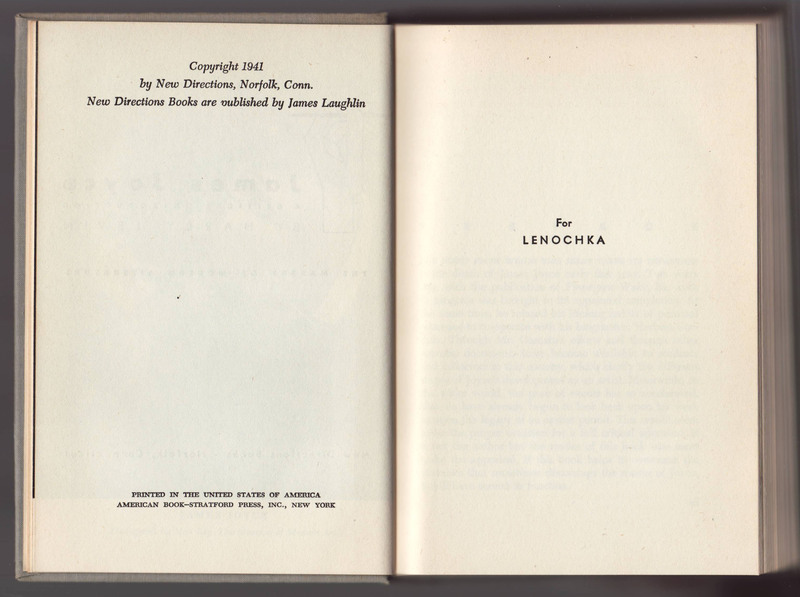 A simple half-title page consists of the author covered by the volume. 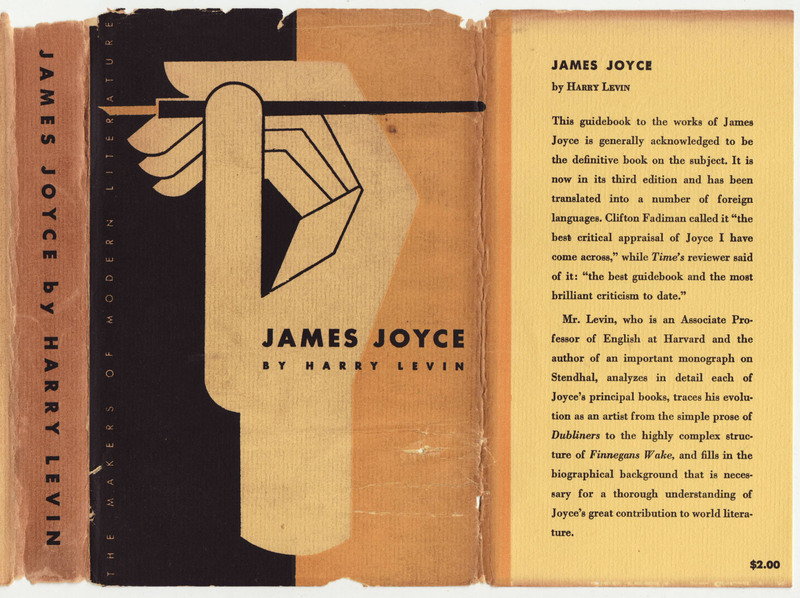 A frontispiece photograph of Joyce faces a title page which includes a series colophon of the hand with pen design from the jacket. The copyright date is 1941. 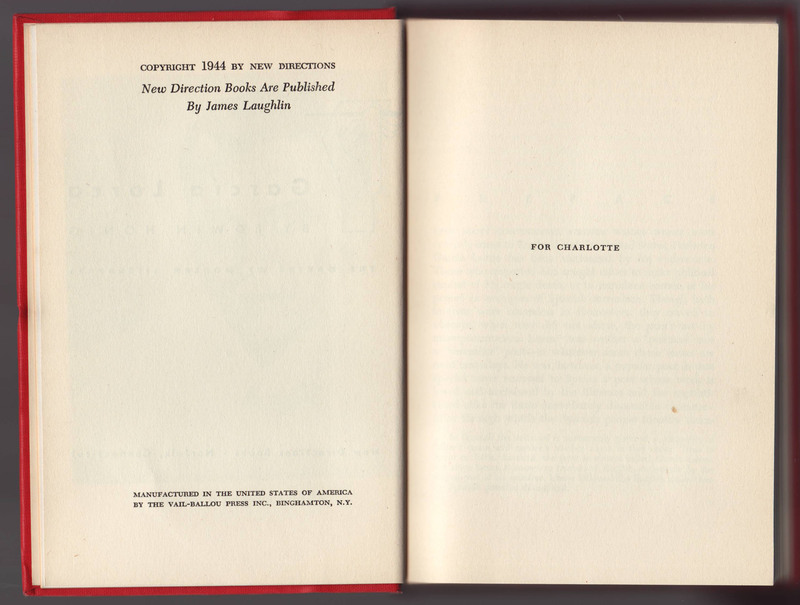 New Directions sometimes, but not always, included a first edition (or printing) indicator. Subsequent printings are not consistently indicated. As noted above, this copy is a reprint of the initial edition, from 1945. The book was printed in the US by American Book-Stratford Press, Inc. in New York. The jackets were redesigned at some time in the late 1940s. There is not a clear break between the older and newer designs for the jackets. I suspect New Directions continued to reprint the older jacket design on some pre-WW2 titles, maybe to save money. The redesign of the jacket front now consists of a stylized fleur de lis design with the series name printed on it. The background is in two colors, with a design very roughly related to that used on New Directions Direction Series jackets. The spine typography is changed. Different color combinations were used: red, orange, teal, yellow, purple and green (all contrasting with white). The front jacket flap includes an overview of the title, along with a $2.00 price. 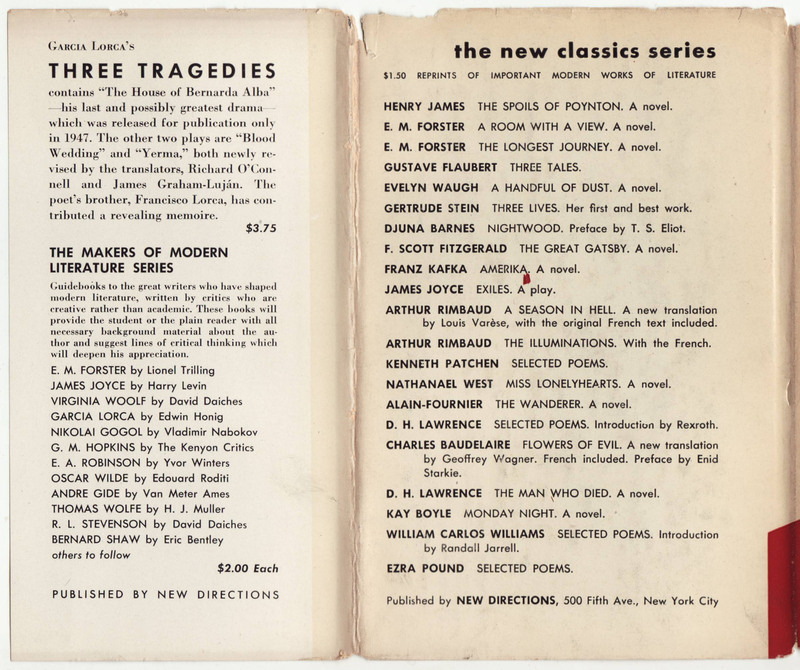 The rear of the jacket advertises the New Classics Series, with 21 titles priced at $1.50 each. 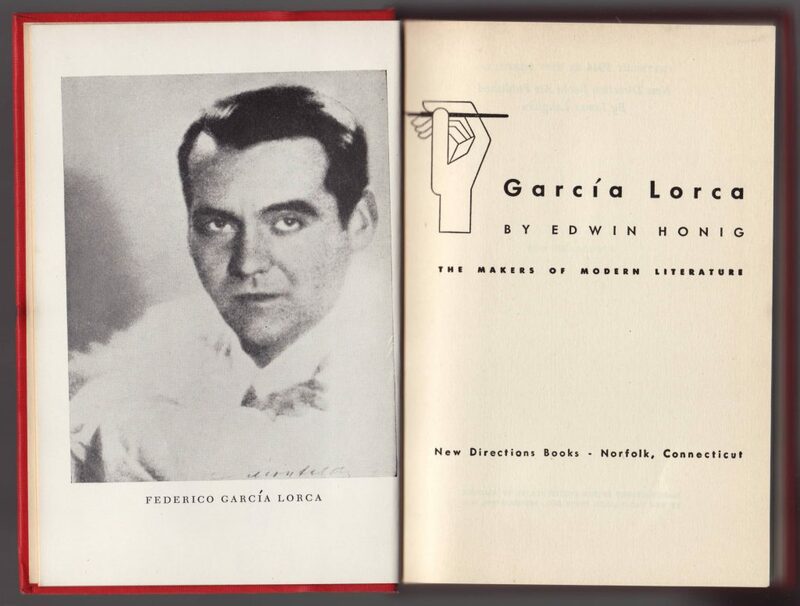 The rear of the jacket advertises Lorca’s Three Tragedies and the Makers of Modern Literature Series (12 of 15 titles listed) at $2.00 each. The cloth bindings are modified to a more conventional design. 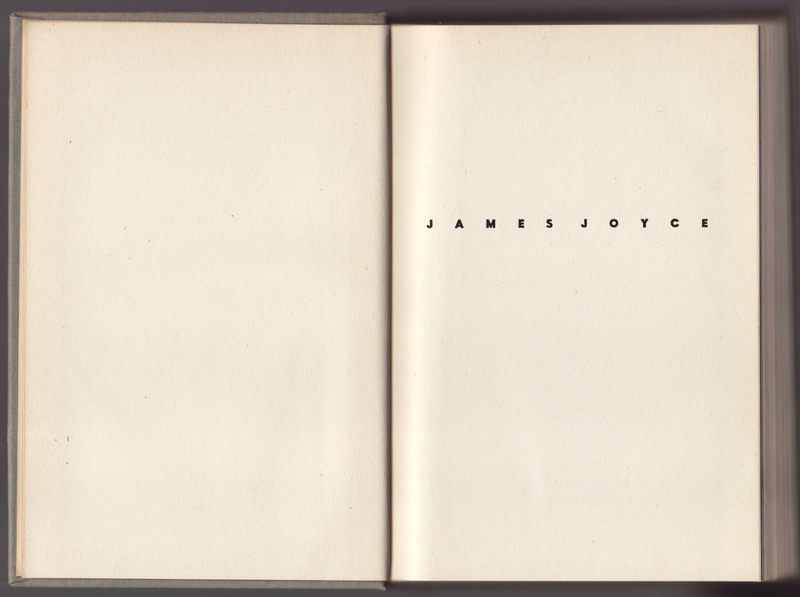 The series hand colophon, removed from the jacket, is added to the book spine, along with the series name. 1944 is indicated as the copyright date. This is a ca. 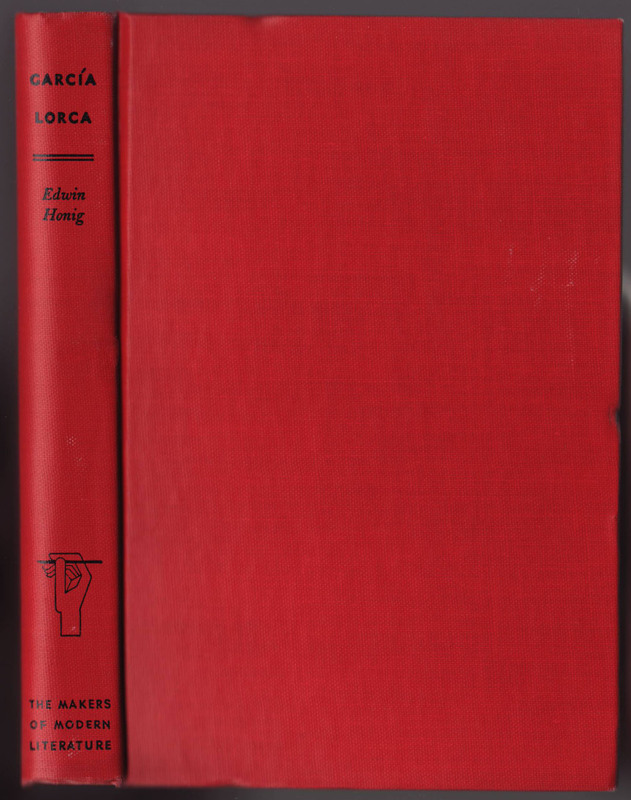 1947 reprint, given the titles in the series listed on the rear jacket flap.